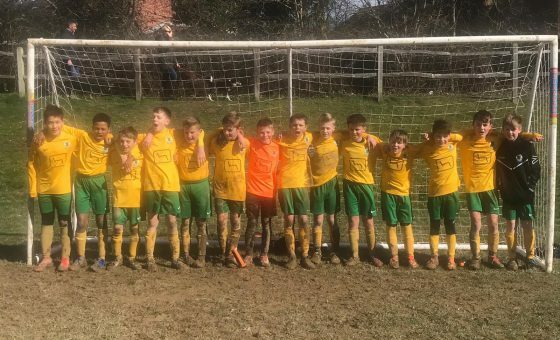 Horsham U12s travelled down to Brighton on Sunday for their County Cup Semi Final game. Playing against a strong Withdean side who currently sit top of the Mid-Sussex Youth League, this was always going to be a tough game, as you would expect at this stage of the competition. 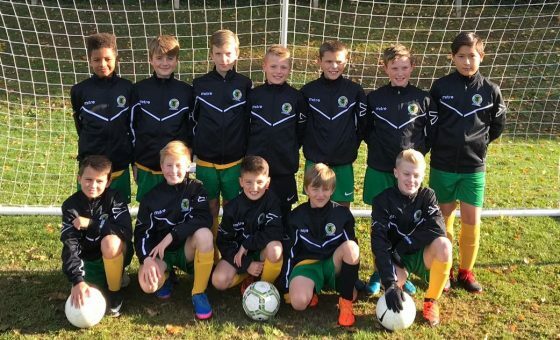 The Young Hornets, who themselves sit top of the Arun & Chichester League and have a League Cup Final to look forward to already this season, are playing some good football and to reach a County Cup Semi Final in their second season together as a team is a tremendous achievement. The game kicked off and it was an even contest with both sides probing for openings. Alex Maynard in the Horsham goal made a great save on six minutes to keep the score level. It was clear to see that Withdean were technically a very good side with all their players being very comfortable in possession. Although they kept the ball well they looked a little toothless in the final third while Horsham, on the other hand, looked to have a cutting edge on the break and although they had less of the ball looked the more likely to break the deadlock on the counter attack. On twenty-four minutes the breakthrough came. After shutting down a Withdean attack, Horsham centre-half Luke York played an excellent pass from ten yards inside his own half for Thom Ong to run onto. The forward outstripped the defenders and got to the ball before the onrushing ‘keeper to toe poke it home to put Horsham one nil up at half-time. The second half kicked off and continued in the same vein as the first; Withdean having most of the possession but Horsham were well organised, had a really good defensive shape, and Withdean found it difficult to break them down. For all their attractive football they were playing it was all being played in front of Horsham and they were happy to let them have the ball in these areas and they really didn’t look like they would get an equaliser. The turning point of the game came with just nine minutes remaining of normal time. On this rare occasion the Withdean wide player cut in and drove into the penalty box, a Horsham player was tempted into the challenge but unfortunately bought the player down for a penalty. Alex Maynard guessed the right way but it was good penalty in to the bottom corner to level the scores at one apiece. 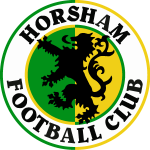 Horsham could still have won it in normal time when Harry Lawson went on a jinking run into the Withdean penalty area and was bought down in the box. The referee whistled for what everyone thought was a penalty, only for him to give a free-kick on the edge of the box as this is apparently where the initial foul took place, much to everyone’s amazement. Luke York’s resulting free-kick was saved. The whistle went for full time as extra time loomed. As extra time kicked off ,the Horsham players were a bit dejected but dug deep and went again. It was a tight affair but it was Withdean that got their noses in front on the stroke of half-time, this time from a set piece. From a corner, the ball wasn’t fully cleared and spun into the air and their number nine scored with an overhead kick which looped over Alex in the Horsham goal. Horsham reverted to a 2-4-2 formation in the hopes of getting back in the game in the second half of extra time but, unfortunately, it was Withdean who killed the game off with a third goal, two minutes in, and it remained this score for the remainder of the game.